Our Christmas cards are here! And we’re busy planning our very first Christmas Pop Up Shop fundraising project. The appearance of the first Reindeer made by the people we support at our Rural Skills project in Hampshire always heralds the countdown to Christmas at FitzRoy. 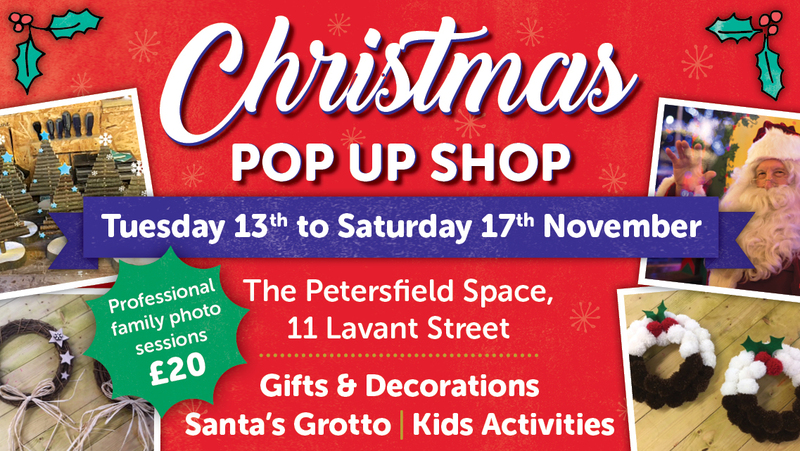 This year we are getting even more excited about Christmas as we plan our first Pop Up shop in Petersfield, from Tuesday 13th to Saturday 17th November. 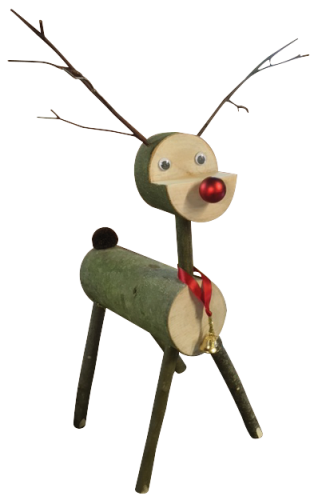 We will be selling wonderful handmade products made by the people we support at our On Track day service and Rural Skills project, from everyone’s favourite handcrafted wooden Reindeer, to natural hanging wreaths, handcrafted wooden snowmen, Christmas trees and reindeer baubles. The shop will also sell everything families will want for Christmas, including gifts, decorations and novelty Christmas goodies for children. And we will be running some fun festive activities, including the chance to meet Father Christmas in our Santa’s Grotto and a festive family photo session with a professional photographer, which will make a wonderful gift. Book your Grotto and photography slots online now to make sure you don’t miss out. FitzRoy Rural Skills will be hosting their Christmas stall again this year, at Rams Walk, in Petersfield on Friday 7th December. 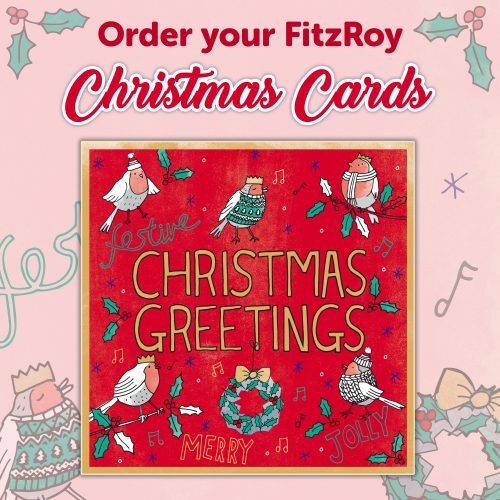 Buy our special Christmas Cards, these beautiful cards, especially designed for FitzRoy, are limited, you can order yours here. Christmas is such a fun time and the people we support love getting involved, whether it’s making special Christmas decorations and gifts, volunteering on our stall and pop up shop, enjoying a special Christmas meal with friends and family, or karaoke and parties – we make sure there is something for everyone. Join us this Christmas and you can help transform the lives of people with learning disabilities and autism.